Before and after images are always a great source of sure inspiration. 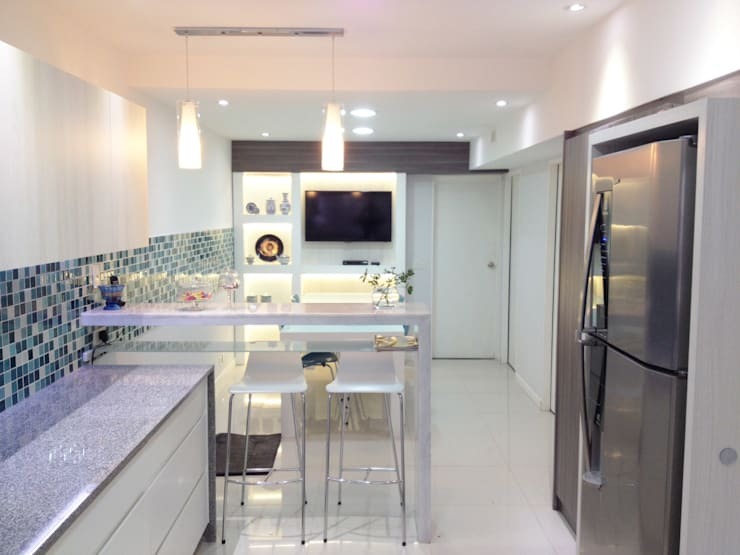 It is incredibly stimulating to see what a home, room or property looked like originally and then how a design professional managed to renew and reinvigorate the whole look and feel as well as the functionality of the space. Today, homify has compiled five old and dingy kitchens that were cleverly transformed. Some have undergone small modifications in design while others have seen great structural changes with wonderful results. If renewal is living, then welcome to the life of remodeling! 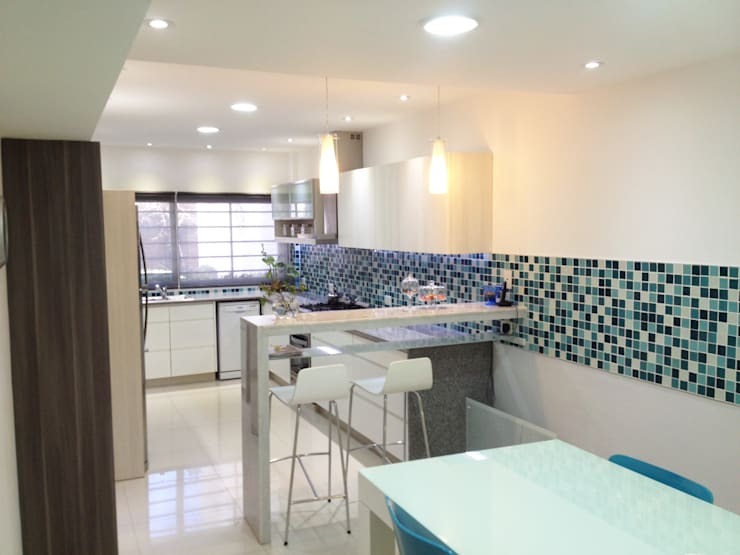 This kitchen has instantly become much warmer and more welcoming, with the blue patterns that we will see in the next image replaced with clean, white tiles and a wooden shelf that matches the new, wooden kitchen counter. 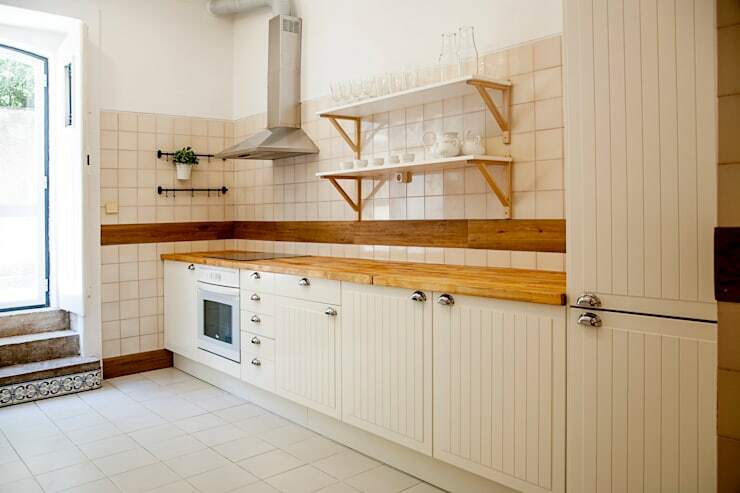 The cream tones work in harmony with the wooden furniture, creating a charming rustic style. There is also plenty of storage space! 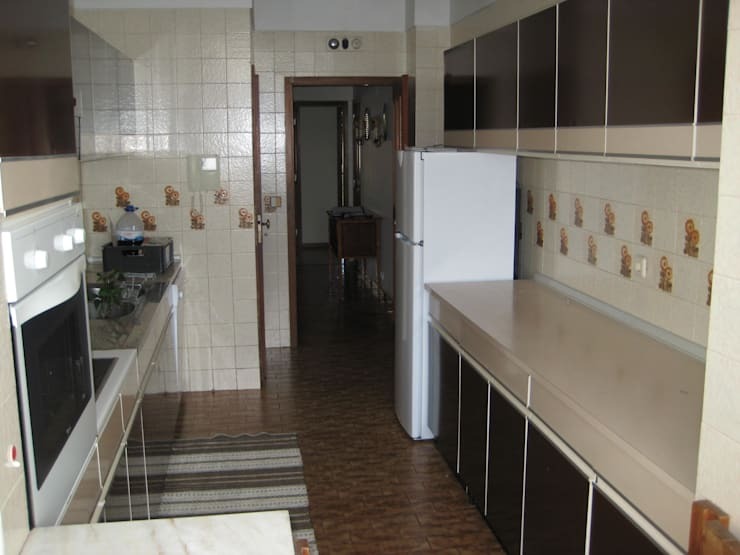 This kitchen seems to be abandoned, with the spaces unused for several years. While the space isn't completely dilapidated, it is in desperate need of a renewal. The poorly designed facilities, outdated features, dust and grime make you want to run away! 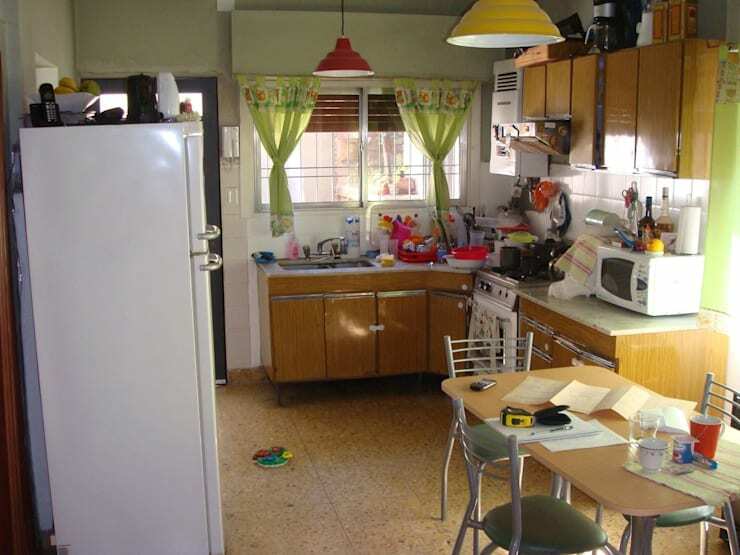 This very outdated kitchen, which looks like it comes from the 80's, is very messy and not very functional. The arrangement of the furniture is not optimal, resulting in a very constricted space. There is also no free counter space and the general decor is simply not working. The practicality of a U-shaped kitchen is undeniable and this is a very clear example. 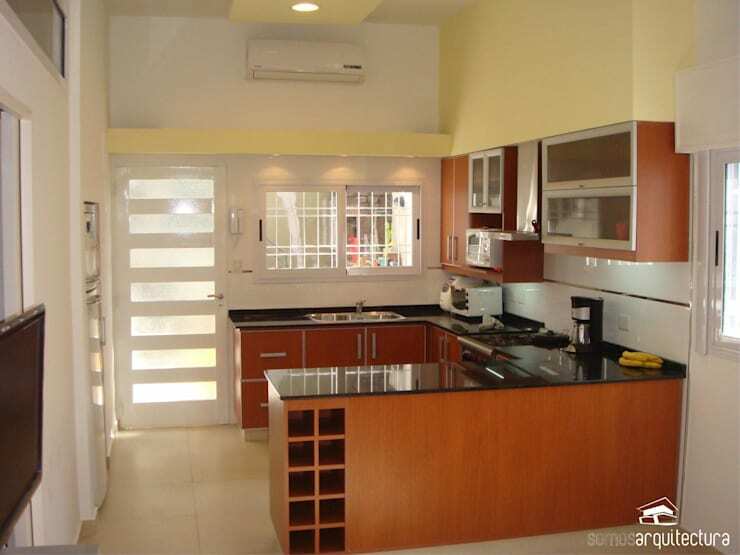 To achieve this, absolutely all of the furniture and tables were removed and a new kitchen counter was installed. This not only adds extra counter space and storage space to the area, but creates a much better flow. For a modern style, the designers have chosen darker tones that bring in a touch of elegance. 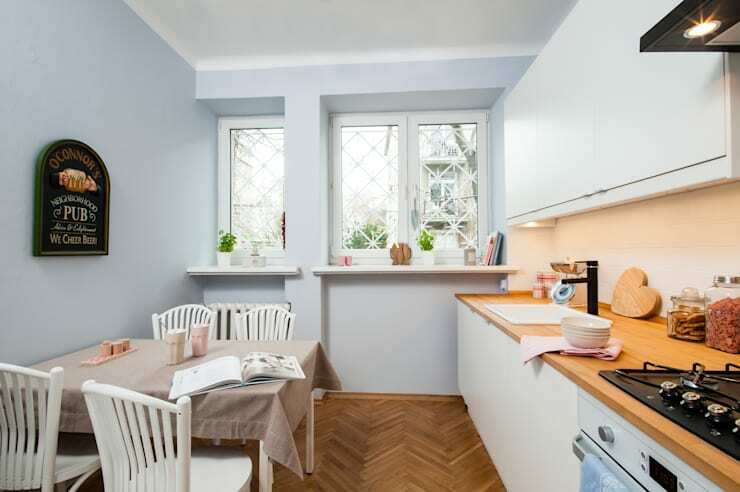 This kitchen looks strange, not only because of the different materials and colours of the furniture, which clash, but because of the overall design. There are no clear functions in this space! Everything seems to have been haphazardly thrown in. Except for the flooring, almost everything in this room was changed radically. The white tones bring in a very refreshing look and feel, creating a much lighter space. The tables and chairs have been changed around to create better flow, while the cupboards on the walls have been expanded to allow for much more storage space. 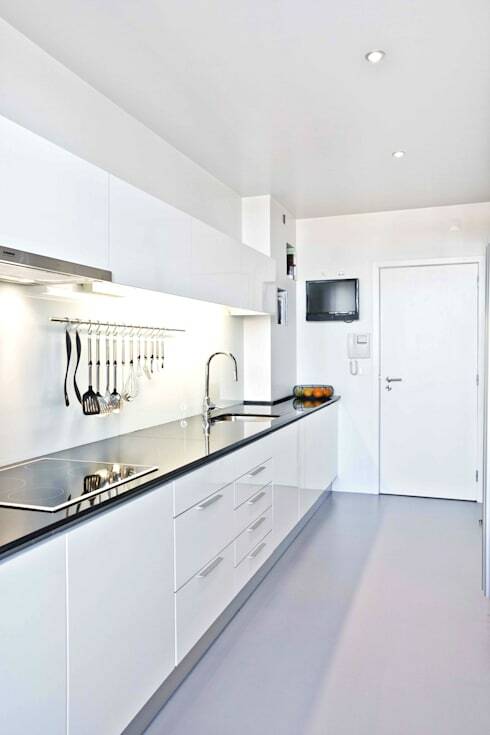 Tip: Install cupboards on the walls to utilize vertical space. Have a look at these other clever ways to improve storage in your kitchen. 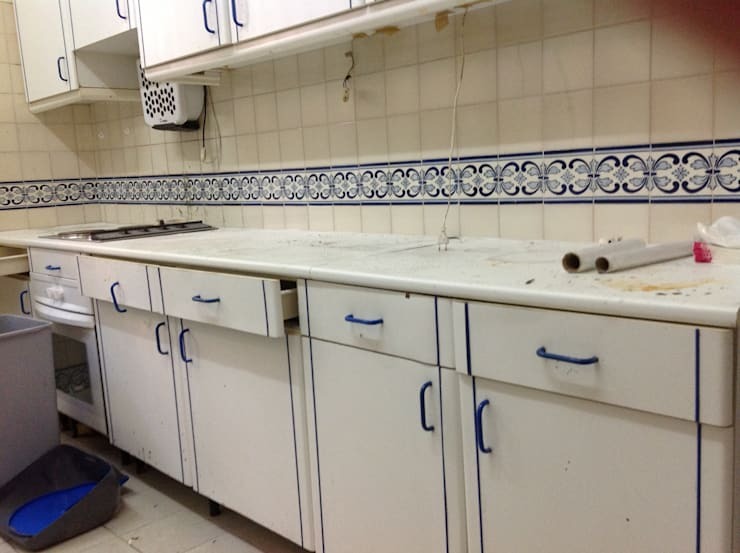 This old kitchen is a typical of an 80's style design, which has lost its charm and beauty. The tiles are printed in shades of beige and brown, which are very obsolete and outdated. The poor lighting does not help, creating a very sad and dark kitchen. This is a resounding and wonderful change. The white tones reflect the light that floods this space, illuminating the whole environment and making it seem that much more clean and spacious. Straight and clean lines enhance the minimalist design, where nothing that isn't functional or necessary is on display. The black counters also create quite a dramatic look and feel against the white tones. 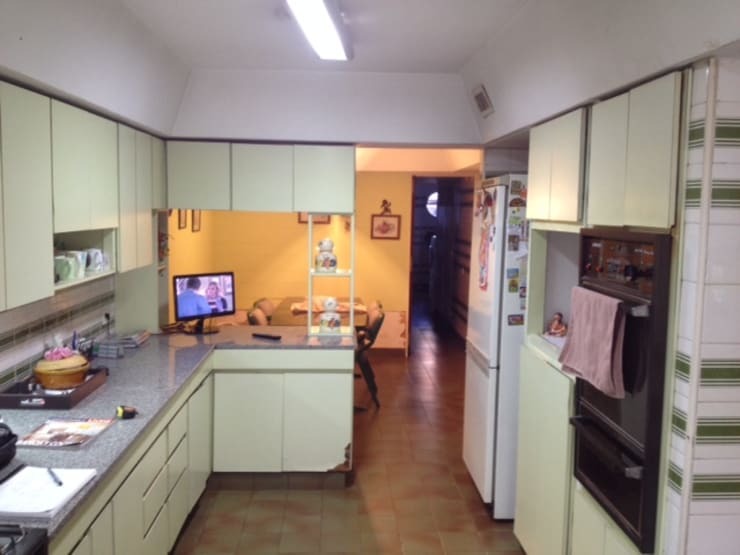 This L-shaped kitchen features plenty of space but the colours are dull and depressing. 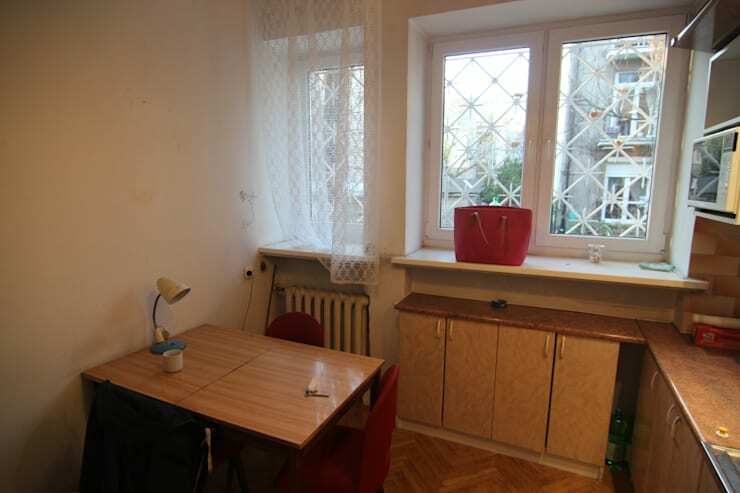 The style is very tired and a renovation is in desperate need! With good taste and an expert eye, even the most hopeless of cases can be totally transformed. This kitchen was rebuilt almost from scratch. The cupboards were replaced and the shape of the room was modified. The darker colour palette was swapped out for a much lighter one, giving it a modern and creative touch. What is most striking, however, is that the kitchen now opens up into the dining room, making the space seem that much bigger. It's also now far more interactive. A breakfast bar with high stools creates the perfect spot to gather around. If you've enjoyed this you'll love these 7 affordable and fantastic renovation ideas. Did you find this article inspiring? Comment your thoughts below!